Jean-Dominique Bauby, who had lost the use of his limbs and voice, dictated his memoir, The Diving Bell and the Butterfly, one letter at a time. Claude Mendibil, shown here as she transcribes, devised a time-saving system of reciting the letters of the alphabet for Bauby in order of their frequency in French words and waiting for him to blink in response. In his book In Praise of Shadows, Jun'ichirō Tanizaki upholds the value of art that captures "the uncertainty of the mental process" rather than "neatly packaged conclusions." "Through the frayed curtain at my window, a wan glow announces the break of day. My heels hurt, my head weighs a ton, and something like a giant invisible diving bell holds my whole body prisoner. My room emerges slowly from the gloom. I linger over every item: photos of loved ones, my children’s drawings, posters, the little tin cyclist sent by a friend the day before the Paris-Roubaix bike race, and the IV pole hanging over the bed where I have been confined these past six months, like a hermit crab dug into his rock." Note the reliance on images of confusion and uncertainty. Echoing Bauby's writing, Julian Schnabel's film version employs blurred lens focus and unexpected shot framing to convey Bauby's experience of first emerging from the coma after his stroke. Note that the unknowing has been rendered clearly. The readers and viewers of these works will experience Bauby's initial confusion without being confused about whether they are correctly absorbing the material. Bauby and Schnabel have created portraits of confusion, not confusing portraits. What is not known may be impossible to render, but our unknowing can nevertheless be rendered with precision. We might extend this connection further, from shadows to what might be called blurriness — the quality of images we clearly perceive but do not perceive clearly. My Bloody Valentine’s album Loveless derives much of its power from this principle. As the vocal enters, the dark ocean of guitars overwhelm it, as if the singer's mouth barely clears the water's surface, the washing of the waves blurring the syllables as they emerge. We lean forward, striving for understanding. Here are the lyrics, according to Google, which can hardly be confirmed by listening. The drowned inaudibility of the vocal feels planned, not mistaken. We don't fiddle with our headphones as we listen, though if the vocal were any louder we might because the blur would feel less decisive. Thus, the band has created not a blurry portrait (one we wouldn't know how to encounter) but a portrait of blurriness. We emerge from this sonic ocean without wondering if we listened correctly, only with a deepened awareness of our unknowing. There are no doubt all sorts of reasons — climate, building materials — for the deep Japanese eaves. The fact that we did not use glass, concrete, or bricks, for instance, made a low roof necessary to keep off the driving wind and rain. A light room would no doubt have been more convenient for us, too, than a dark room. The quality that we call beauty, however, must always grow from the realities of life, and our ancestors, forced to live in dark rooms, presently came to discover beauty in shadows, ultimately to guide shadows towards beauty’s ends. And so it has come to be that the beauty of a Japanese room depends on a variation of shadows, heavy shadows against light shadows — it has nothing else. Westerners are amazed at the simplicity of Japanese rooms, perceiving in them nothing more than ashen walls bereft of ornament. Their reaction is understandable, but it betrays a failure to comprehend the mystery of shadows . . .
. . . Of course the Japanese room does have its picture alcove, and in it a hanging scroll and a flower arrangement. But the scroll and the flowers serve not as ornament but rather to give depth to the shadows . . . Here, he speaks of the Sumiya teahouse in Kyoto. Note how precisely he captures the darkness. On the far side of the screen, at the edge of the little circle of light, the darkness seemed to fall from the ceiling, lofty, intense, monolithic, the fragile light of the candle unable to pierce its thickness, turned back as from a black wall. I wonder if my readers know the color of that“darkness seen by candlelight.” It was different in quality from darkness on the road at night. It was a repletion, a pregnancy of tiny particles like fine ashes, each particle luminous as a rainbow. I blinked in spite of myself, as though to keep it out of my eyes. Glassmaking has long been known in the Orient, but the craft never developed as in the West. Great progress has been made, however, in the manufacture of pottery. Surely this has something to do with our national character. We do not dislike everything that shines, but we do prefer a pensive luster to a shallow brilliance, a murky light that, whether in a stone or an artifact, bespeaks a sheen of antiquity. Of course this “sheen of antiquity” of which we hear so much is in fact the glow of grime. In both Chinese and Japanese the words denoting this glow describe a polish thatcomes of being touched over and over again, a sheen produced by the oils that naturally permeate an object over long years of handling — which is to say grime. If indeed “elegance is frigid,” it can as well be described as filthy. There is not denying, at any rate, that among the elements of the elegance in which we take delight is a measure of the unclean, the unsanitary. One of the oldest and most deeply ingrained of Japanese attitudes to literary style holds that too obvious a structure is a contrivance, that too orderly an exposition falsifies the ruminations of the heart, that the truest representation of the searching mind is just to “follow the brush.” Indeed, it would not be far wrong to say that the narrative technique we call “stream of consciousness” has an ancient history in Japanese letters. It is not that Japanese writers have been ignorant of the powers of concision and articulation. Rather, they have felt that certain subjects — the vicissitudes of the emotions, the fleeting perceptions of the mind — are best couched in a style that conveys something of the uncertainty of the mental process and not just its neatly packaged conclusions. When speaking of craft, experts generally stress the virtues of clarity, probably because the first obstacle facing any artist is being understood. Tanizaki, however, stresses the danger of creating work that pretends all is clear, as in transparent. He seems to insist that we include in our art what we don’t understand, the shadows and smudges of mystery, and that we learn to render our unknowing in all of its strange beauty. Ineptitude consists in wanting to reach conclusions . . . What mind worthy of the name, beginning with Homer, ever reached a conclusion? And here, Flaubert captures the larger point. What seems to me the highest and most difficult achievement of Art is not to make us laugh or cry, nor to arouse our lust or rage, but to do what nature does—that is, to set us dreaming. Dreams. Their power to transport and haunt us relies not so much the magic that may unfold within them as much as the sense that some vital element has eluded our understanding. We wake up trying to figure them out. Likewise, the art that calls us back makes use of shadows and other obscuring elements so that the questions eclipse the answers. Opposites part 5 — Jean Said Makdisi's "Crisis, with Glossary of Terms Used in Times of Crisis"
Jean Said Makdisi. Image via middleeastmonitor.com. Jean Said Makdisi’s essay “Crisis, With a Glossary of Terms Used in Times of Crisis” (from her collection Beirut Fragments) captures life in war torn Beirut during the 1980s. The madness of war is brought home not through descriptions of mangled bodies but rather through snippets of what people do during such situations. And one thing people try to do is to go on with their lives. Thus, her essay is filled with opposites. She and her family ride out mortar fire in a bomb shelter, and the next day, she drives to her office at the university, where she meets with fellow professors about the Freshman English program. The following scene, filled with opposites, evokes an especially striking and unexpectedly convincing portrait of people trapped in war. I confer hurriedly with my husband. At first we agree not to go. It is madness to go out, and who feels like a dinner party at a time like this, anyway? A few minutes later, we shrug at each other. Why not? We have to live, to grasp enjoyment when it comes. The party is hilarious. After the tension of the last few days, a sense of abandon overcomes us. I am relieved that there is not political discussion of causes, effects, and apportionment of blame; none of that confidential exchange of highly significant gossip and anecdote; no prognoses; no quarrels between politically opposed partisans. I am sick of this talk. Everything changes around us but this never ends, going on and on, amid knots of bent heads and earnest faces. Only once does the subject of the war come up. A professor of political science whose opinion is taken seriously says, “It’s all over. This ceasefire is going to hold.” An explosion of machine guns and mortars answers his words even as he utters them. He raises his glass in a mock toast. “Vive la guerre,” he says, joining in the laughter, recognizing with the rest of us the futility of trying to make sense of what is happening. Finally, we can no longer ignore the situation as shells begin to fall nearby. We hastily take our leave and make our way home through the empty streets. By the time we get back, the battle is in full swing. We barely have time to collect the children and get to the shelter. For a short time, the glow of our evening’s enjoyment strengthens us, but this soon fades as the gravity of the situation deepens. The second half of the essay is written like a phrase book for a wartime Beirut. Thus the phrase ma fi shi in the above excerpt is explained . . .
shu fi? What’s going on? These apparently innocuous phrases are actually part of a life-saving code that Lebanese have developed in the face of sudden violence. You might be driving along the bustle of the city, or on a scenic mountain road, and come to a traffic jam or a deserted stretch of road. Either of these could spell trouble. “Shu fi? Fi shi? (“What’s going on? Something?”) you ask a passerby or a fellow driver. “Ma fi shi” (“Nothing”). “It’s just a traffic jam or an empty road,” he answers. Or else “fi shi” (“Something”)—he has heard shouts or shots or, at any rate, something untoward—he is not quite sure what. The clinching “Al’ane” might come, and the responding question, “Bain min wa min?” (“Between whom and whom?”) might lead to your identifying the elements involved. On the other hand it might not, and you could go home, having come within an inch of your life, none the wiser. “Ma fi shi” may also be used ironically, as when all hell has broken loose but you say, “Ma fi shi,” and smile bitterly. Strange how scenes of dinner parties emerging and then ending amidst battles and the ironic exchanges of fellow commuters capture something of the true terror of war. Jean Said Makdisi’s insights into how war feels for those caught up in it turns on the very idea of how oppositions collide. I was surprised to find how much work I actually do. My lazy self-image might say less my work ethic and more about my method of self-motivation. At times when I didn’t work, it helped to have a concrete sense of what a productive week can look like (which I had, thanks to my work logs). As a writer, I felt most free when I was most conscious of meeting my minimal work targets. As a drummer, I felt most confident on stage when I knew I had met my practice targets in the time leading up to the show. I find that in weeks during which I work consistently, even when I fell short of daily targets, I end up producing better work. Working every day leaves me more limber. The hardest thing is to come back to work after an extended absence. The accumulation of the work logs whets my appetite for doing more work. I’m open to considering that this testifies to my twisted artist’s conscience, but I also know that we artists often need to find ways to trick ourselves into working. If keeping track of my work is one such trick, why not keep doing it? Natalia Ginzburg. Image via d.repubblica.it. So I was always hunting for characters, I looked at the people on the tram and on the street and when I found a face that seemed suitable for a story I wove some moral details and a little anecdote around it. I also went hunting for details of dress and people’s appearance, and how their houses looked inside; if I went into a new room I tried to describe it silently to fit well in a story. I kept a notebook in which I wrote down some of the details I had discovered, or little similes, or episodes which I promised myself I would use in stories. For example I would write in my notebook ‘She came out of the bathroom trailing the cord of her dressing-gown behind her like a long tail’, ‘ How the lavatory stinks in this house — the child said to him — When I go, I hold my breath — he added sadly’, ‘His curls like bunches of grapes’, ‘Red and black blankets on an unmade bed’, ‘A pale face like a peeled potato’. But I discovered how difficult it was to use these phrases when I was writing a story. The notebook became a kind of museum of phrases that were crystallized and embalmed and very difficult to use. I tried endlessly to slip the red and black blankets or the curls like bunches of grapes into a story but I never managed to. So the notebook was no help to me. I realized that in this vocation there is no such thing as ‘savings’. If someone thinks ‘that’s a fine detail and I don’t want to waste it in the story I’m writing at the moment, I’ve plenty of good material here, I’ll keep it in reserve for another story I’m going to write’, that detail will crystallize inside him and he won’t be able to use it. Her insight that “there is no such thing as savings,” carries over to many realms. A drummer might, in the course of practicing, discover a particularly fun fill and decide to perfect it for use at a particular point in a particular song. Then, during performance, the drummer will find that the fill feels wrong. The moment of discovery has been lost, and the fill has crystallized and lacks the fluidity demanded in the moment. Likewise, a songwriter may want to hold onto a melody or a line of lyrics, an architect may want to hold onto a particular vision of how two spaces adjoin. In all of these cases, what we might prioritize is not holding onto the particular ideas but rather the creative flow that led to them. Note that this does not discount keeping notes from which we might later proceed. It only points to the fact that though we can preserve a discovery, it’s much harder to preserve its moment of arrival, and the distinction is crucial. Thus, when we come upon an especially striking idea, we might do something with it right then and there. Spend it, because we can't save it. And later, when our work is done, we might reflect upon what happened to make that moment of discovery possible. John Coltrane, Cannonball Adderly, Miles Davis and Bill Evans during the recording of Kind of Blue. Image via improvjazz.wordpress.com. There is a Japanese visual art in which the artist is forced to be spontaneous. He must paint on a thin stretched parchment with a special brush and black water paint in such a way that an unnatural or interrupted stroke will destroy the line or break through the parchment. Erasures or changes are impossible. These artists must practice a particular discipline, that of allowing the idea to express itself in communication with their hands in such a direct way that deliberation cannot interfere. The resulting pictures lack the complex composition and textures of ordinary painting, but it is said that those who see well find something captured that escapes explanation. This conviction that direct deed is the most meaningful reflections, I believe, has prompted the evolution of the extremely severe and unique disciplines of the jazz or improvising musician. Group improvisation is a further challenge. Aside from the weighty technical problem of collective coherent thinking, there is the very human, even social need for sympathy from all members to bend for the common result. This most difficult problem, I think, is beautifully met and solved on this recording. As the painter needs his framework of parchment, the improvising musical group needs its framework in time. Miles Davis presents here frameworks which are exquisite in their simplicity and yet contain all that is necessary to stimulate performance with sure reference to the primary conception. Miles conceived these settings only hours before the recording dates and arrived with sketches which indicated to the group what was to be played. Therefore, you will hear something close to pure spontaneity in these performances. The group had never played these pieces prior to the recordings and I think without exception the first complete performance of each was a "take." Note the emphasis on completed gesture, the idea that one must stay in the moment, never ‘lifting one’s brush from the paper.’ Though artists often isolate moments of difficulty, get inside them, and learn how to release effort, fewer of them also practice the completion of a gesture—completing a painting, the writing of a scene, a song, a dance solo. I once heard Quincy Jones remark that songs are best written from beginning to end, an idea echoed by others, including John Lennon. It requires a letting go of one priority—the perfection of little moments—in order to grab onto another—tuning into the larger ideas and broader expressions that we carry within us. J. G. Ballard. Image via thequietus.com. In Frank Stockton’s story “The Lady, Or the Tiger?,” an accused man is brought into an arena and must choose between two doors. Behind one is a lady, who will be his. Behind the other is a tiger. The plot is complicated by the fact that the protagonist’s crime is having loved the king’s daughter, the story’s protagonist. She sits next to the king. And not only did she know in which room stood the lady ready to emerge, all blushing and radiant, should her door be opened, but she knew who the lady was. It was one of the fairest and loveliest of the damsels of the court who had been selected as the reward of the accused youth, should he be proved innocent of the crime of aspiring to one so far above him; and the princess hated her. Her accused lover looks to her for guidance. Then it was that his quick and anxious glance asked the question: "Which?" It was as plain to her as if he shouted it from where he stood. There was not an instant to be lost. The question was asked in a flash; it must be answered in another. Her right arm lay on the cushioned parapet before her. She raised her hand, and made a slight, quick movement toward the right. No one but her lover saw her. Every eye but his was fixed on the man in the arena. He turned, and with a firm and rapid step he walked across the empty space. Every heart stopped beating, every breath was held, every eye was fixed immovably upon that man. Without the slightest hesitation, he went to the door on the right, and opened it. The story concludes as the narrator puts the question to his readers. Her decision had been indicated in an instant, but it had been made after days and nights of anguished deliberation. She had known she would be asked, she had decided what she would answer, and, without the slightest hesitation, she had moved her hand to the right. The question of her decision is one not to be lightly considered, and it is not for me to presume to set myself up as the one person able to answer it. And so I leave it with all of you: Which came out of the opened door,--the lady, or the tiger? The story leaves us in the shadow of the ending, though the ending is unsure. The story is freighted with heartbreak, but which type of heartbreak will befall the princess, the death of her lover or his marriage to her rival? A more certain fate awaits Constantin, the condemned man in J. G. Ballard’s short story “End Game.” Constantin has been convicted of a crime and sentenced to death, but in this society, death sentences are carried out at an unspecified time. Constantine lives in a sequestered community with his executioner (his ‘supervisor’), Malek. The spend their days together. When Constantin falls briefly sick, Malek helps him recover. They play chess. Constantine learns that Malek knows the precise moment at which he is to carry out Constantine’s execution, though Malek will not divulge this information to Constantine, who must go on living never knowing which breath will be his last. Drawing the lapels of the dressing gown around his chest, Constantin studied the board with a desultory eye. He noticed that Malek’s move appeared to be the first bad one he had made in all their games together, but he felt too tired to make the most of his opportunity. His brief speech to Malek, confirming all he believed, now left nothing more to be said. From now on whatever happened was up to Malek. He turned in his chair and, to his surprise, saw the supervisor standing in the doorway, wearing his long gray overcaot. Malek shook his head, his eyes staring somberly at Contantin. “Of course, Malek, it’s kind of you.” Constantin rose a little unsteadily to his feet, and tightened the cord of his dressing gown. “Pardon my wild hopes.” He tried to smile to Malek, but the supervisor sttod impassively by the door, hands in his overcoat pockets, his eyes lowered fractionally from Constantin’s face. They went out onto the veranda toward the French windows. Outside the colde morning air whirled in frantic circles around the small stone yard, the leaves spiraling upward into the dark sky. To Constantin there seemed little point in going out into the garden, but Malek stood behind him, one hand on the latch. His hand opened the veranda door onto the whirling leaves. Note the sense of a crescendo interrupted. It suggests both Constantin’s death and the length of each second between now and that fateful moment. The final shot of Thelma and Louise. Image via opentravel.com. Some endings present the sense of ending midair. The final shot of Thelma & Louise stops with their car in midair. Sure, Thelma and Louise are about to die, but for interrupting this ending to freeze on this last moment of freedom evokes a sense of triumph. The final lines of Finnegan’s Wake by James Joyce. Difficult as Joyce's prose may be, one can get a sense of what ending mid-sentence does. It conveys the sense of motion with a vividness that a concluded thought cannot equal. Two musical analogs to these include . . . The razor cut at the end of “I Want You / She’s So Heavy” evokes desperation, and this builds through the lengthy outro. Interrupting the song brings home the sense that for this singer, everything is beyond his control. Meshell Ndegeocello’s “Wasted Time” also ends with a hard cut, and this interruption gives weight to the song’s theme. If time is a precious resource that must not be wasted, it may be gone before we have a chance to ready ourselves. At left, the narthex at Hagia Sophia, and above, the vast room awaiting inside. Images via orthodoxartsjournal.org and openbuildings.com. In my younger and more vulnerable years my father gave me some advice that I've been turning over in my mind ever since. "Whenever you feel like criticizing any one," he told me, "just remember that all the people in this world haven't had the advantages that you've had." He didn't say any more, but we've always been unusually communicative in a reserved way, and I understood that he meant a great deal more than that. In consequence, I'm inclined to reserve all judgments, a habit that has opened up many curious natures to me and also made me the victim of not a few veteran bores. The abnormal mind is quick to detect and attach itself to this quality when it appears in a normal person, and so it came about that in college I was unjustly accused of being a politician, because I was privy to the secret griefs of wild, unknown men. Most of the confidences were unsought-frequently I have feigned sleep, preoccupation, or a hostile levity when I realized by some unmistakable sign that an intimate revelation was quivering on the horizon; for the intimate revelations of young men, or at least the terms in which they express them, are usually plagiaristic and marred by obvious suppressions. Reserving judgments is a matter of infinite hope. I am still a little afraid of missing something if I forget that, as my father snobbishly suggested, and I snobbishly repeat, a sense of the fundamental decencies is parcelled out unequally at birth. And, after boasting this way of my tolerance, I come to the admission that it has a limit. Conduct may be founded on the hard rock or the wet marshes, but after a certain point I don't care what it's founded on. When I came back from the East last autumn I felt that I wanted the world to be in uniform and at a sort of moral attention forever; I wanted no more riotous excursions with privileged glimpses into the human heart. Only Gatsby, the man who gives his name to this book, was exempt from my reaction-Gatsby, who represented everything for which I have an unaffected scorn. If personality is an unbroken series of successful gestures, then there was something gorgeous about him, some heightened sensitivity to the promises of life, as if he were related to one of those intricate machines that register earthquakes ten thousand miles away. This responsiveness had nothing to do with that flabby impressionability which is dignified under the name of the "creative temperament"-it was an extraordinary gift for hope, a romantic readiness such as I have never found in any other person and which it is not likely I shall ever find again. No-Gatsby turned out all right at the end; it is what preyed on Gatsby, what foul dust floated in the wake of his dreams that temporarily closed out my interest in the abortive sorrows and short-winded elations of men. Note the quiet that descends over this introductory moment of reflection and the moral and romantic energy that gathers, ready to charge the readers’ subsequent entry into the narrative. Beginnings Part 2 supplement — Prokofiev’s "Peter and the Wolf"
A young Carlina Codina, who grew up to take the stage name Lina Llubera. She later met and married Sergei Prokofiev. Image via www.sprkfv.net. Sergei Prokofiev's Peter and the Wolf is famous orchestral work for children, where a narrator reads over an orchestration of the story. It begins with an introduction of the characters and the musical motif and instrumentation associated with each. Here is a version narrated by Lina Prokofiev. Though the introduction (from 0:00-0:25) may have been written with the mission of introducing children to orchestral music in mind, it accomplishes more than that. It tells listeners how many characters to expect and what emotional associations come with each—excitement (the bird), playfulness (the cat), sternness (the grandfather), and so forth. The previews of the character motifs allows listeners to anticipate the scope and tone of what follows. They’ll know to anticipate danger (the wolf), and conflict (gunfire). All of this sets a young listener’s imagination in motion before the action has started, and by establishing these limits, the introduction frees her to enjoy the story. Joni Mitchell. Image via www.stereogum.com. After drafting my memoir about the music business, I realized that I wanted to bring the readers into the story with their expectations somewhat in order. First, I wanted to settle, right away, the question of the narrator’s qualifications. He was not a rock star, but rather someone who had found some degree of success, enough to have given him access to such things as record deals, MTV, the workings of radio, what it’s like to play on Letterman, and so forth. I wanted them to expect an insider’s look at success without being distracted by the wait for a superstardom that the narrator never attained. I also knew that someone picking up a rock memoir might expect tales of rock and roll excess, and I wanted to direct expectations away from that, lest the wait for scenes of debauchery start to distract readers. So my introduction sketched in a few of the story’s plot points, and this panoramic introduction allowed the narrator greater leeway in telling the story that followed, because the introduction allowed readers to set aside questions that might otherwise have lingered. Think of it this way: Imagine flying to a place you’ve never visited, and a friend picks you up at the airport. Suppose she doesn’t tell you how long the trip is, or whether or not you are stopping for groceries, or whether or not you will be crossing the river, and so forth. In that case, each sight has potentially equal significance. Your mind has no expectations; each intersection is a potential turning point, each neighborhood might or might not be hers. With so many options open, your soon lose the ability to take in the details because the big questions—where are we going and how long before we get there—remain outstanding. Or suppose she fills you in. “We’re headed across town, about half an hour drive. We’ll cross the river, swing by the dry cleaners, and then drive uphill to where I live, which is not far from that radio tower you see to the right of the downtown skyline.” Now you have context and thus freedom to let your eyes wander, to take in details and know that you haven’t lost track of the big picture. Renee Gladman. Image via therumpus.net. Renee Gladman’s To After That is an excavation of sorts, a memoir about coming to terms with a manuscript and all that went into its creation. It begins . . .
“Let me see it,” as strange as it sounds, was my first thought when I returned home this evening. Hours before—having printed the last page of the manuscript and prepared to flee the house—I had written “After That: a novella” across the title page, then I ran outside. When I was about a block from home I turned around and came back. I pulled the manuscript out again—a crisp stack of ninety-seven very white, very smooth pages—and scribbled in black ink “When I was a poet” just under the title to qualify things. I changed my outfit, adding a new, more versatile layer (a hooded sweatshirt), and left my house decidedly. I was outside; the relief I felt was tremendous. Gladman has taken her readers in through the book’s front door, by which she shows her narrator leaving and entering an actual front door, the perfect preview of what follows. The book details an author’s attempts to finish writing a different book, and the process finds her oscillating between triumph and defeat as the manuscript eludes her grasp. Indeed, the final sentence of that opening paragraph — “I was outside; the relief I felt was tremendous” — lets the reader in on what the narrator hadn’t yet realized: her relief was short-lived. To After That travels forward and backward through moments of certainty and doubt, and as it does so, it continues to resonate with notes sounded in the opening paragraph. Ralph Ellison. Image via www.brainpickings.org. A great example of a beginning with a clearly marked front door: the prologue of Ralph Ellison’s Invisible Man. I am an invisible man. No, I am not a spook like those who haunted Edgar Allan Poe; nor am I one of your Hollywood-movie ectoplasms. I am a man of substance, of flesh and bone, fiber and liquids — and I might even be said to possess a mind. I am invisible, understand, simply because people refuse to see me. Like the bodiless heads you see sometimes in circus sideshows, it is as though I have been surrounded by mirrors of hard, distorting glass. When they approach me they see only my surroundings, themselves, or figments of their imagination — indeed, everything and anything except me. Ellison has unveiled the meaning of the title and thereby presented us with a lens through which we may view all that follows. He has established the narrator’s distanced perspective, a survivor with an incisive take on his surroundings. We readers might already feel as if we are in the company of someone who has seen more than us, for though the narrator tells us that though we may have looked right at him, we have not yet seen him. A prologue is often written after the completion of a book so that the writer knows where to point the reader. In this case, Ellison has pointed us right at the book’s overarching theme. To be sure, many mysteries await, and what follows is vast and complex, all the more reason why this introduction is not only a model of delicacy but also of an author's awareness of his readers. Beginnings Part 1 — Where Is the Front Door? The first question you ask yourself approaching a building is: Where is the front door? According to Christopher Alexander’s A Pattern Language, always a useful guide, locating the entrance to a building is the single most important decision in the design process. “The entrance must be placed in such a way that people who approach the building see the entrance or some hint of where the entrance is, as soon as they see the building itself,” he writes. There are several issues here. One is simply finding one’s way. In a well-designed building you proceed to the entrance almost without thinking—you know which way to go, you should not have to look for signs or ask for directions. Furthermore, a building with a clearly identifiable entrance feels welcoming, whereas a building—especially a public building—whose entrance is obscured feels both annoying and forbidding. Since reading it, I have observed this principle in action. Indeed, when approaching an unfamiliar building, not only am I searching for the point of entrance, in effect, I am surveying the exterior for a sense of its internal logic. How, if I were to enter, might I move through it? One of the most difficult things is the first paragraph. I have spent many months on a first paragraph, and once I get it, the rest just comes out very easily. In the first paragraph you solve most of the problems with your book. The theme is defined, the style, the tone. At least in my case, the first paragraph is a kind of sample of what the rest of the book is going to be. That’s why writing a book of short stories is much more difficult than writing a novel. Every time you write a short story, you have to begin all over again. It seems to me that García Márquez and Rybczynski are describing the same issue. As García Márquez suggests, how might a book’s entryway train the reader how to read what follows? And how might a dance piece or musical composition or film do the same? Quincy Jones. Image via jazzinphoto.wordpress.com. I once heard Quincy Jones discuss the art of composing. He said something to the effect that until he could impose a creative constraint on himself, he had no freedom to compose. In the case of his film score for In Cold Blood, all kinds of possibilities emerged once he committed to centering the music around two string basses, musical representations of the two killers at the center of the story. Noam Chomsky, in broader terms but also in resonance with Jones’s reflection on composing, has observed that the rules of syntax are what unleash the creative potential of human language, the means by which we think. It’s a familiar paradox: Where anything is possible, creativity shuts down, but when the range of possibility narrows, we face choices and engage our imagination. Furthermore, the narrower our choices, the further we can push within the range of options. To speak about art in terms of tradeoffs acknowledges this reality. For instance, a choice that nonfiction writers entertain (now more openly than ever) is whether or not to embellish their stories with fictionalized details. Let’s set aside any moral objections one might have with such embellishment, and for the sake of discussion let’s assume that the fictionalized details would have no bearing on the larger meaning at stake in the story and also that the reader will not be able to discern truth from fiction. Embellishing by way of fictionalized details gives the writer more options. For instance, she gains access to sharper contrasts and smoother transitions. The embellishments allow her to solve problems that the truthful details of the story might disallow. What might she be trading away? One answer is that sometimes the more interesting aspects of a story lurk behind inconvenient details. For example, when I sat down to write my memoir about playing drums, I faced an inconvenient aspect of the story: Though my band had achieved significant success, I myself was not a quite a rock star. Should I skew the story by rounding myself up to rock star? Should I overstate the story’s disappointing end to create a crash and burn narrative? Only by staying within the constraints of the story’s reality did I push myself to realize that the story of becoming a near rock star was unexpected and full of details that might be new to readers. In my life as a drummer, I regularly imagined stardom. Sometimes the show-biz planets aligned to convince me I had made it, when in fact I had not. My favorite details of the book were those that captured the sense of being in showbiz purgatory, neither damned to failure nor granted access to full-blown glory. And telling that story would not have been possible had I skewed the facts to ease my initial storytelling anxieties. And mulling those anxieties slowed the start of my writing. Only when I realized that I wanted to tell the truth, with all of its storytelling complications, did I find the freedom to write. Quincy Jones comes through again. James Baldwin. Image via newyorklivearts.org. In my brief career as a teacher of creative writing, I’ve already learned that no group of students will ever agree on whether they like a particular piece of writing, even if that writing is by someone as exemplary as James Baldwin. Thus, when a workshop conversation takes up a piece of writing by one of the students, I find that talking about a piece’s merits, a matter of opinion, draws our attention away from the work, which is why I invite students to report their experience of reading. The other thing I ask them to do is to talk in terms of tradeoffs, so that we develop a way of talking about a piece on which all can agree. A statement such as this, which is really all about the reader and not the work, presents an opportunity to push for a richer understanding of the tradeoffs made by the artist. Conversations that push the students’ understanding will result in more thoughtful responses . . . This second response explores tradeoffs made by the writer and the reading experience that followed. It takes the students to a deeper understanding of what they do as writers and readers. Tradeoffs Part 1 — Tradeoffs as shared points of reference. 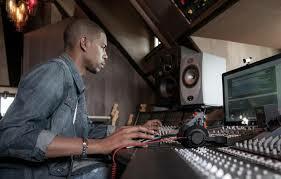 Producer/engineer Young Guru, mulling tradeoffs at the mixing console. Image via massappeal.com. When we discuss art, it’s natural for us to employ evaluative language. Doing so, however, often overlooks the fact that evaluative language only points back at us, the audience. It doesn’t point at the work. We can argue about the best Ella Fitzgerald performance or Joni Mitchell song, but those arguments only establish the taste of those in conversation. It does little to illuminate what the artists themselves are up to. Nevertheless, we need language with which to talk about art. For example, when I read a student work, and it’s not working for me, I need to be able to talk about why in terms that are concrete, beyond dispute. One way to do that is to describe my experience of the work. “I was confused on page four because . . . .” A writer can hardly disagree with such a statement from a reader. She can’t say, “No, you weren’t confused.” The objective nature of the conversation helps keep things clear for all. Another way to talk in concrete terms is to discuss the tradeoffs made by the artist. Even when two people disagree on a work’s success or failure, they can agree on the tradeoffs that were made and what resulted from those tradeoffs. For instance, in my posts about musical time, I listed some tradeoffs that are made when drumming becomes rounder (more even) or less round (more uneven). Whether or not I can persuade you that Ringo Starr’s sense of time is better than a drum machine’s (which is really a conversation about my listening), we can agree that Ringo’s imperfect time-keeping infuses the Beatles with a certain vulnerability that a drum machine cannot. Likewise, we can agree that if the Beatles had used a drum machine that rendered perfectly even time, the result might have been something less vulnerable and more invincible. Provide concrete points of reference for people who may disagree as to a work’s success or failure. Help us remember that creativity is all about choices. The language of tradeoffs thus help us distinguish between conversations about the artist’s choices from conversations about our response to those choices. The different tradeoffs each of us might make reflect differences of intuition and taste. The language of tradeoffs therefore helps us take responsibility for how we receive the work. John Masefield. Image via poetryfoundation.org. The Oblique Strategies are the creation of musician Brian Eno and artist Peter Schmidt. The strategies are a collection of statements, commands, principles, and questions designed to help artists break through creative logjams. They originally existed as a deck of cards, so an artist working on a project could, if stuck, reach for the deck, draw a card, and act upon what the card offered. Examples include . . .
State the problem in words as clearly as possible. Only one element of each kind. What would your closest friend do? What to increase? What to reduce? Are there sections? Consider transitions. Work at a different speed. Consider the case of “Sea Fever,” a poem by John Masefield. The opening line may well have been written . . . But in various versions, the line appears . . . This may have been the result of a printing error. Here is a proof of an early printing. But later printings restore "go down," as Masefield himself reads the poem in this recording. Screenwriting teacher Robert McKee, whose lectures and writing on story design have influenced a generation of screenwriters and novelists. Image via designersnotebook.com. Imagine a cast as a kind of solar system with the protagonist as the sun, supporting roles as the planets around the sun, bit players as satellites around the planets — all held in orbit by the gravitational pull of the star at the center, each pulling at the tides of the others’ nature. Consider this hypothetical protagonist: He’s amusing and optimistic, then morose and cynical; he’s compassionate, then cruel; fearless, then fearful. This four-dimensional role needs a cast around him to delineate his contradictions, characters towards whom he can act and react in different ways at different times and places. These supporting characters must round him out so that his complexity is both consistent and credible. Character A, for example, provokes the protagonist’s sadness and cynicism, while Character B brings out his witty, hopeful side. Character C inspires his loving and courageous emotions, while Character D forces him first to cower in fear, then to strike out in fury. The creation and design of Characters A, B, C, and D is dictated by the needs of the protagonist. They are what they are principally to make clear and believable, through action and reaction, the complexity of the central role. Consider, for instance, how The Mary Tyler Moore Show evokes this principle. The show’s central character, Mary Richards, is the sun around which all other characters revolve. Clockwise from upper left: Valerie Harper, Ed Asner, Cloris Leachman, Ted Knight, Mary Tyler Moore, Gavin McCloud. Image via abcnews.go.com. Her best friend and neighbor, Rhoda Morgenstern (Valerie Harper), brings out the side of Mary that is cynical about life in a male-dominated culture. Her other neighbor, Phyllis Lindstrom (Cloris Leachman) creates a point of contrast for Mary’s down-to-earth side, her rejection of shallow, bourgeois mores. New writer Murray Slaughter (Gavin McCloud) brings out Mary’s idealism. Newsroom boss Lou Grant (Ed Asner) activates her striving and desire for recognition. Anchorman Ted Baxter (Ted Knight) brings out her principles. Notice how roughness and comic exaggeration characterize these supporting roles. Their obsessions, their actions, their facial expressions reach extremes that Mary’s never do. As in many sit-coms, the main character plays straight against everyone else in the cast. Yet without the roughness, the flaws, embodied in the various supporting roles, the show does not feel complete. Indeed Mary herself, per McKee’s insights, requires all of these characters orbiting around her to appear whole.